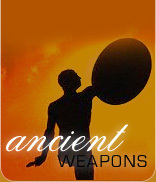 One of the most dangerous close combat dueling weapons, the craftsmanship of a dagger will always remain unmatched. 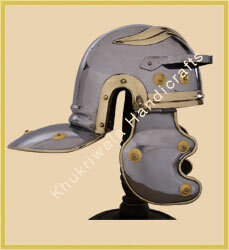 Manufacturers and wholesale suppliers of medieval helmets, antique helmets, knight medieval helmets, viking helmets, gladiator roman helmets, helmet sallets, german sallet, bull helmets from India. 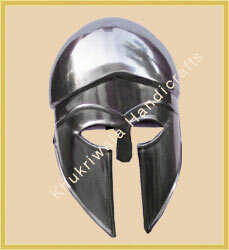 Material Used :Iron, Brass, etc. 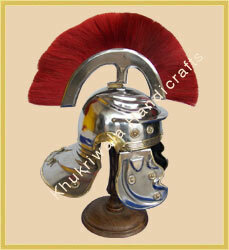 Material Used :Iron, Brass, Horse Hair, etc. 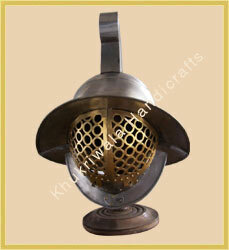 Material Used :Iron and Brass etc. 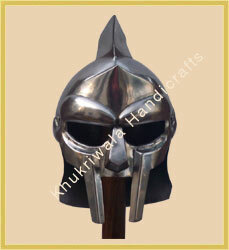 Weight : 1.8 Kg approx. Weight : 2 Kg approx. 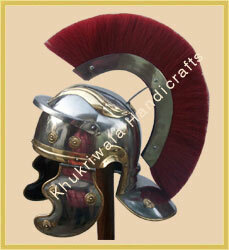 Item No : H44 Corinthian helmet with Plum. Weight : 2.5 Kg approx. 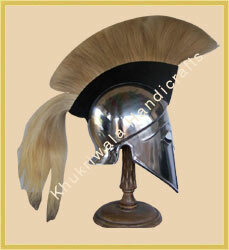 Material Used : Iron and Horse Hair. 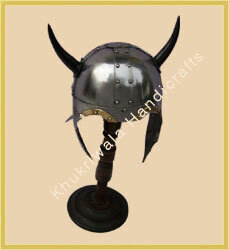 Material Used : Iron, Brass, Horn etc.